As I announced at the beginning of the month, the theme for my Thanksgiving recipes this year was An American Feast, a celebration of our diversity with dishes inspired by international and regional American flavors (plus a week of "indulgence" recipes, since any great Thanksgiving feast should include a little indulgence). I hope you enjoyed this year's recipes. If you're making any of them today or tomorrow, here's a handy reference with links to all of them. Mole Brined Roast Turkey Breast. A turkey breast is brined with the spicy-sweet flavors of Mexican mole before roasting. Serve with Thanksgiving Mole Gravy. 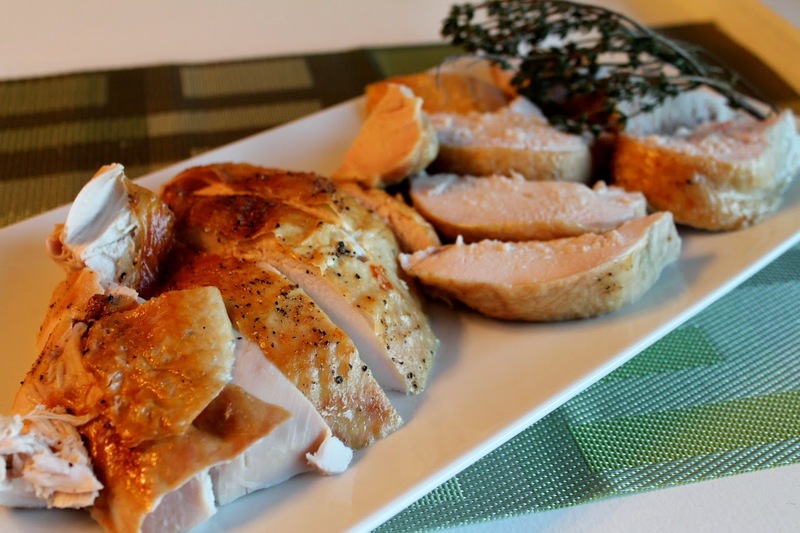 Smoky Maple Brined Roast Turkey Breast. Another play on the spiced brine, this time with liquid smoke and maple syrup to hint at the New England fall. Rosemary-Onion and Black Pepper Biscuits will make your kitchen smell good. They taste even better topped with a spread of Bacon Marmalade. Roasted Brussels Sprouts with Cranberries and Toasted Pecans. 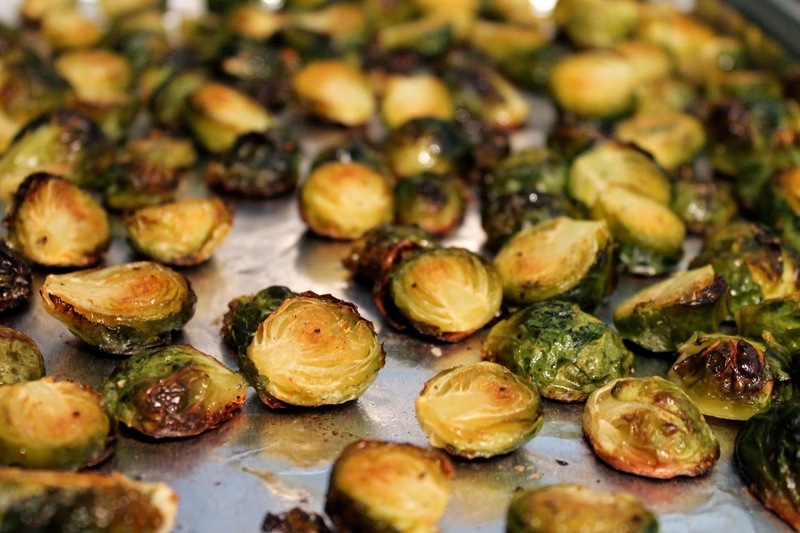 Sprouts, roasted until caramel-brown get a lift from maple syrup and other Thanksgiving favorites. Cornbread Stuffing with Sausage and Fennel. A Thanksgiving classic makes room for the bright flavor of fennel. Asian Grain Stuffing. Brown and wild rices replace the bread in this alternative Thanksgiving stuffing incorporating East Asian flavors. North African Green Bean and Sweet Potato Couscous Salad. Traditional Thanksgiving vegetables get a makeover with the spices of North Africa for a refreshing side salad. Sautéed Parsnips with Dates and Spiced Yogurt. Earth sautéed and roasted parsnips are paired with sweet dates and a spicy yogurt served on the side. Old Fashioned Texas Pecan Pie. A historic recipe--dating back to 1898--finds pecan pie before corn syrup with a more custard-like base and a meringue topping. Lattice Apple Pie with Rye Whiskey Crust. 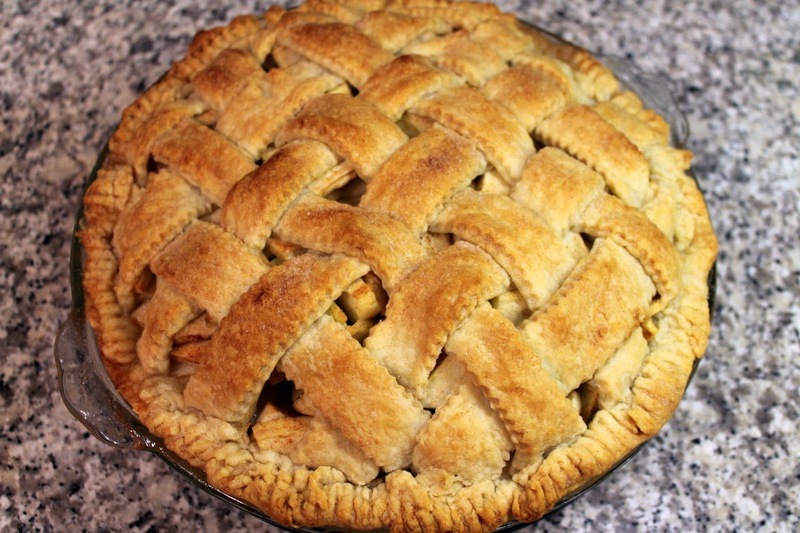 Make a bold visual statement by weaving a lattice on top of your apple pie. Thanksgiving Ice Creams. Pumpkin Spice Ice Cream and Ginger-Brown Sugar Ice Cream, both ideal pie accompaniments. Thanksgiving Wines (2014 Selections). Dry Riesling, Oregon Pinot Noir and a Virginia Cabernet Franc are this year's top choices. Thanksgiving Cocktails. 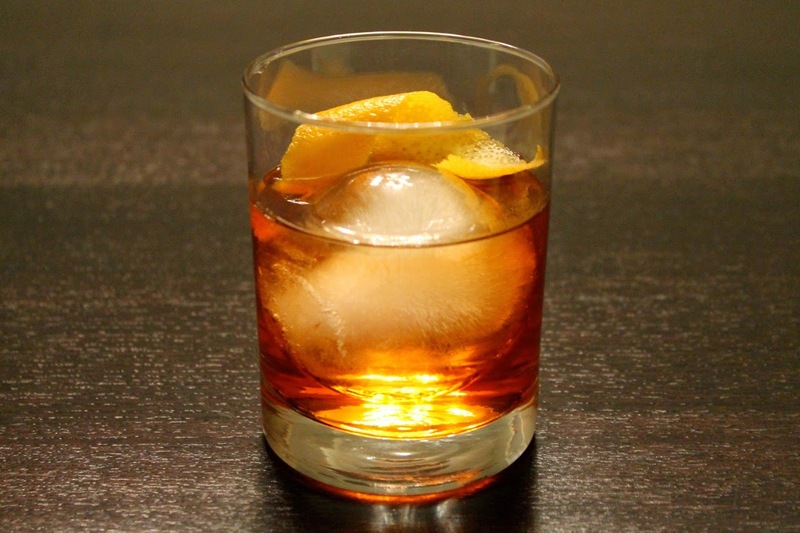 Four great selection featuring flavors of sage, ginger, lemon, apple and lots of whiskey. Thanksgiving Leftover Turkey Posole. Turn your leftover meat into this delicious spicy Southwestern stew. An American Feast. This year's introductory post. 10 Tips for Planning Thanksgiving Dinner. It's a complicated day--here are 10 of my tips to make it easier. Thanksgiving Central. 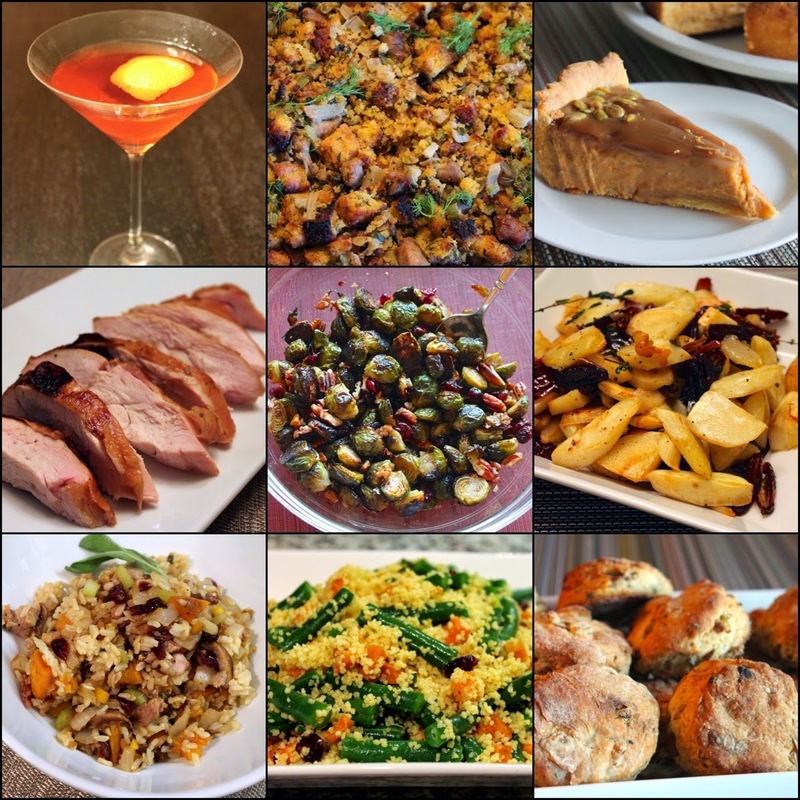 Links to all Thanksgiving recipes and stories, including those from previous years.